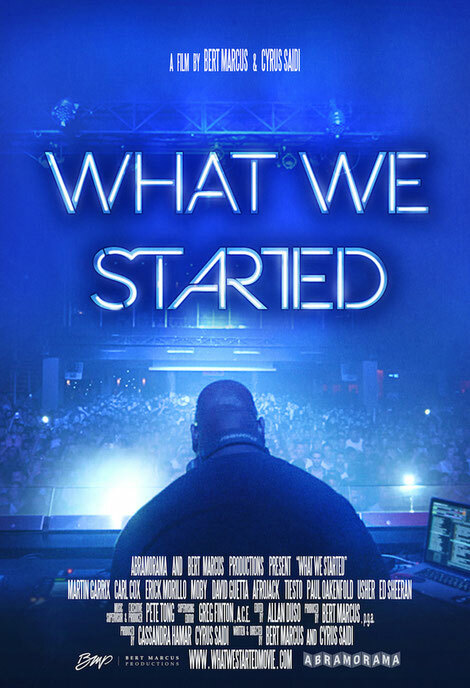 Bert Marcus Productions and Giant Interactive recently announced that the electronic dance music film, What We Started, is available for pre-order now on iTunes in over 100 countries ahead of its release in theatres, on iTunes and On Demand 23 March. The film will have a red-carpet premiere on 22 March at The Regal South Beach with Martin Garrix, Carl Cox, David Guetta, Tiësto and more in attendance, the night before the sold-out-20-year-anniversary of ULTRA Music Festival in Miami. Directly after the film, a Q&A regarding the documentary with Martin Garrix, Carl Cox, Tiësto and more, will be hosted inside the theatre for fans and media. In anticipation of the worldwide digital release, the producers have released a never before seen clip from the documentary of the birth of Martin Garrix’s single ‘Animals’ and how this track ignited his career. Having recently performed during the closing ceremony of the PyeongChang 2018 Olympic Winter Games and nearing the benchmark 5-year anniversary of ‘Animals’, his popularity continues to increase. The film is a documentary detailing the birth, resurgence and history of dance music while featuring the careers of electronic dance music artists, including Martin Garrix, Carl Cox, Erick Morillo, Moby, David Guetta, Afrojack, Paul Oakenfold, Seth Troxler, and Tiësto. Russell Faibisch, the co-founder of Ultra Music Festival also shares his story on how the world’s premiere and wholly independent music festival helped shape the dance music scene as it is today. There are multiple cameos from musical superstars, including Usher and Ed Sheeran, who help exemplify the power and reach that electronic dance music has over mainstream music genres. Giant Interactive is handling the worldwide VOD and DVD release of the film via its Streaming Plus label. Produced by Bert Marcus, Cassandra Hamar and Cyrus Saidi, and executive produced by Pete Tong, the film is written and directed by Bert Marcus and Cyrus Saidi.